What is the Zentangle Method? Want to learn to focus with a pen? De-stress with beautiful creativity? Think you can’t draw? 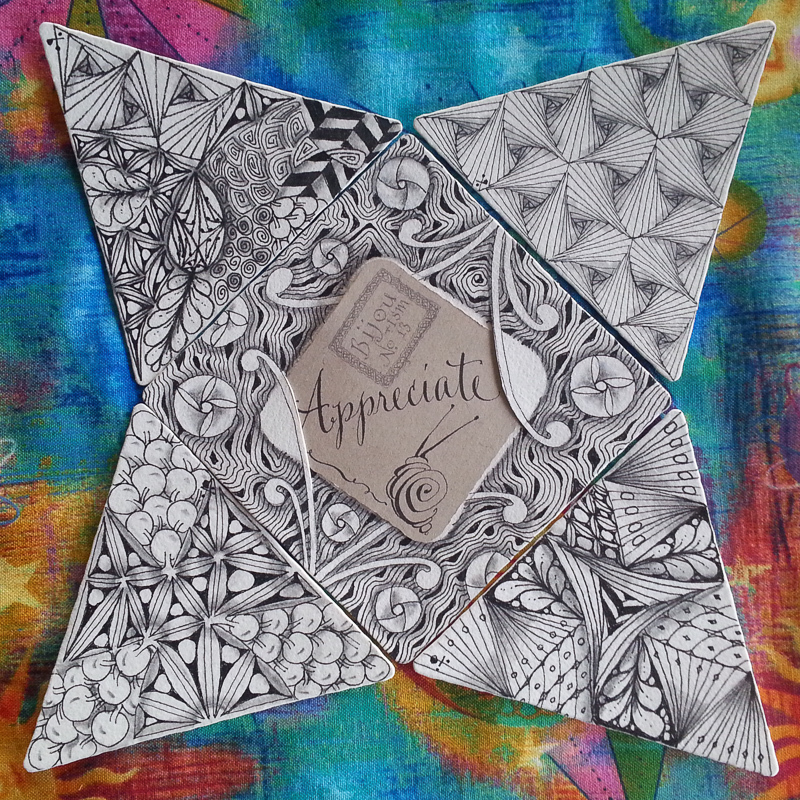 Try some mindfulness for the fidgets of this world …The Zentangle® Method might just be for you…..
it’s an easy to learn, relaxing, fun and comforting way to create beautiful images by drawing structured patterns. It helps increase focus, creativity and provides artistic satisfaction and a sense of personal wellbeing. It is an art form, a life skill, a tool, a perspective and an approach to mindfulness. At its heart, Zentangle art is all about being in the moment and mindful – focusing in, not zoning out; paying attention to your current task and as you get into a rhythm and a flow, it pushes away worries and distractions. The drawings unfold in an unplanned, yet structured way, and each person’s work comes out differently. It works by setting limits to work inside, then uses a structured process for each pattern (tangle). You focus purposefully on your lines, each stroke in their own direction, so although people may draw the same tangle the outcome could be quite different. It is a calm, soothing and meditative style of drawing. It’s different, because unlike other artistic methods (you are not copying, referring back to instructions, following a guide or a model), and have the freedom of not having a planned outcome, which allows focus and mindfulness, as well as increase self confidence in your artistic expression. 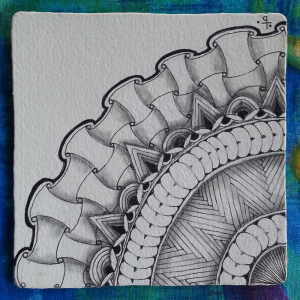 Zentangle is enjoyed all over the world, across a wide range of skills, interests and ages. 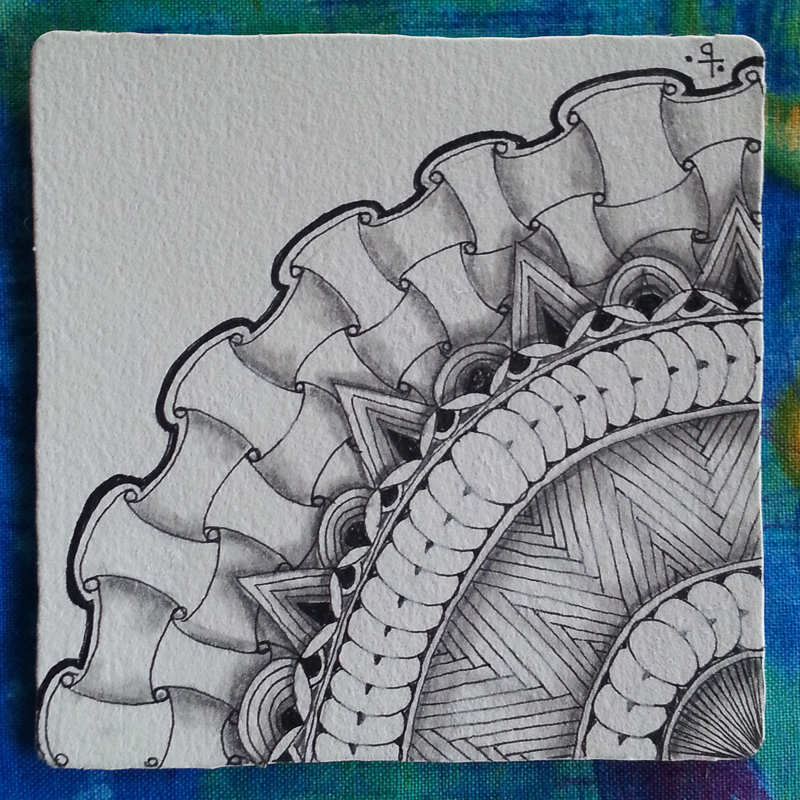 Based on the belief that life is an art form, the Zentangle Method is an elegant metaphor for deliberate artistry in life. Ildica would describe it as practising mindfulness through drawing. Ideal for those who want to experience mindfulness in a creative way. Various words used to describe the practice are non- representational, unplanned image, unhurried deliberate strokes, total absorption, unique and original – without any regrets. You will leave with a clear understanding that, “Anything is possible one stroke at a time.”®It’s a different approach to relaxation. By teaching yourself to focus on one stroke at a time, your mind is given permission to release outside stresses. 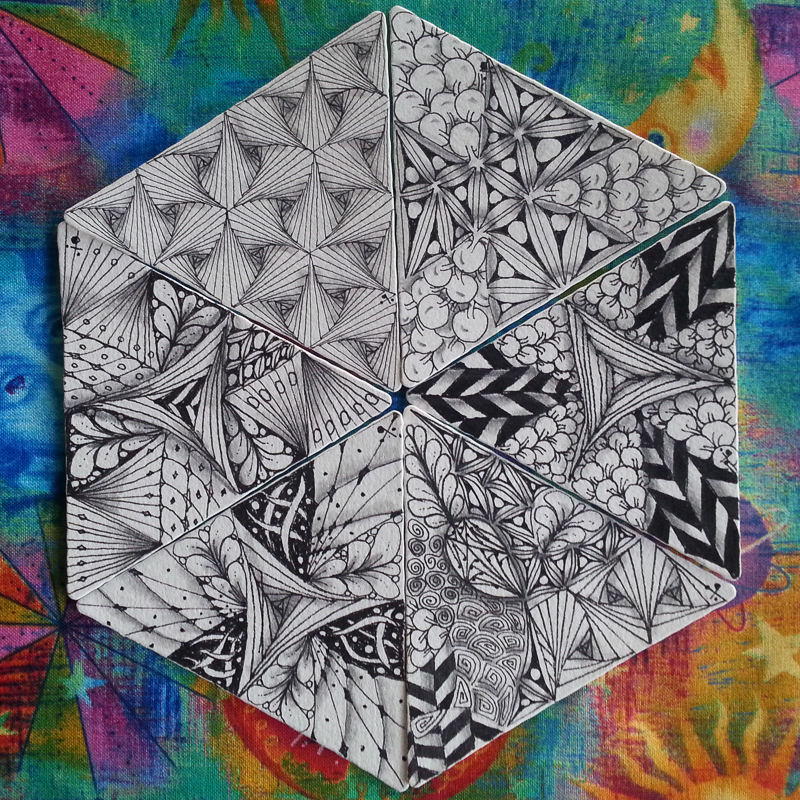 Many people who don’t always connect with traditional meditation enjoy the Zentangle process because it combines an activity with relaxation.